May buy any quantity. May use multiple vouchers to stay multiple nights. Valid for a 1 night stay for 2 people in any Deluxe (or Classic) Room. Only valid Thursday through Sunday during the off-season months of November 2013 through March 9, 2014. Not valid February 14-15, 2014. Customer may upgrade to a Luxury Room/Suite for an additional $30 paid directly to Sunflower Hill. Merchant cancellation policy of 14 days applies; voucher subject to forfeiture. Not valid on existing reservations. Reservations required and subject to availability. Not valid for tax (lodging/sales tax of 13.6% is due at time of booking). Additional people are $20 each per night (limits on the number of people per room apply). The inn is not suitable for children under the age of 10 years. Mention voucher at time of booking (include entire voucher code in "Note to Innkeeper" for online reservations). Valid through: Mar 9, 2014. See the terms that apply to all deals. Sunflower Hill has been been Moab's top-rated lodging since 1997. 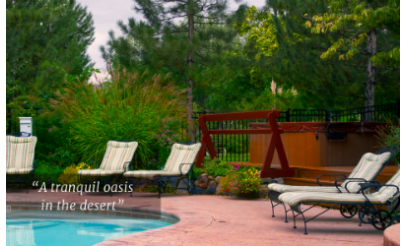 Enjoy world-class accommodations and luxurious comfort, combined with a rustic-elegant style you won't find in any other lodging in Moab. A hot, gourmet breakfast is served each morning. Or, visit www.SunflowerHill.com to book online; include voucher code in "Note to Innkeeper"
Sunflower Hill is Moab's premiere luxury lodging establishment. 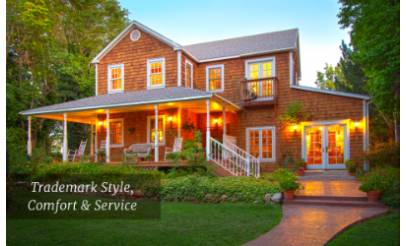 The inn features two beautifully restored buildings: the historic Ranch House and spacious Garden Cottage. 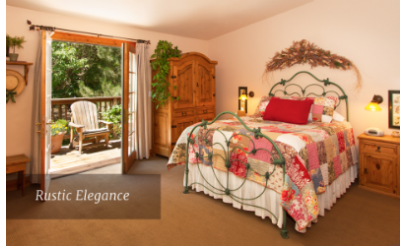 The inn is stylish yet casual, luxurious, and comfortable. They've thought of everything, so you don't have to! 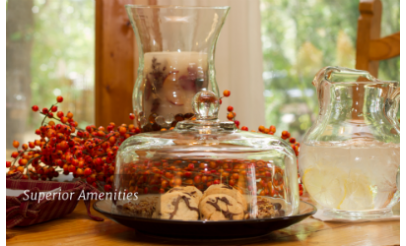 The innkeepers and inn staff are committed to providing unsurpassed service and maximum comfort. They are knowledgeable about the Moab area and the many adventures available.